Welcome to my site, my name is Joe Cameron, owner and operator of Top Guides Fishing Charters based out of Campbell River, British Columbia. I am 4th generation sport fisherman in the Campbell River area. I became hooked at the early age of five: on August 19th in 1992 only one hundred yards from our doorstep my sister and I landed a 32 and 36lb spring salmon, from then on the Johnstone Straights have been my playground. At the age of 12 I had proven my dedication, work ethic and passion was enough to guide clients out of the Dolphins Fishing Resort. Please join us for a sport fishing vacation of a lifetime. Our selected group of Top Guides is amongst Campbell Rivers finest with over 150 combined years of experience. We will take you to some of the richest filled and productive ocean fishing waters in the world. 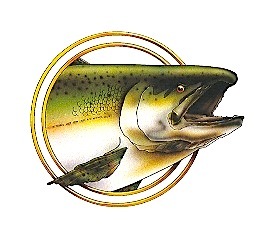 I take great pride in our ability to safely connect our clients with experience and thrill of salmon fishing.